You've always wanted a monster modular Moog, Here's your modern virtual equivalent. "A Robust construction kit for building synths, samplers, and effects." 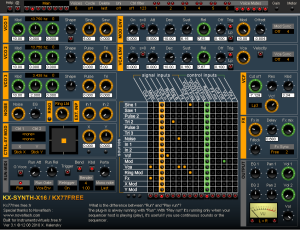 No programming, drag and drop components in a powerful fully modular environment. Connect them your way. Why wait?, check out the Free Demo, try a free bassline synth. 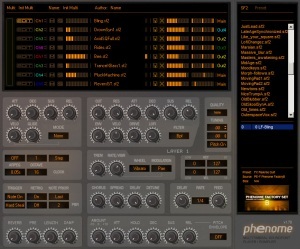 "...in creating virtual instruments for Windows and Linux using the VST plug-in format." There's no royalties, no licensing agreements, no special runtime is required, just share your creations with anyone using a major DAW like Cubase, Live or FL Studio. Increase your knowledge of synthesis techniques like Frequency Modulation, Phase Distortion and Sampling. 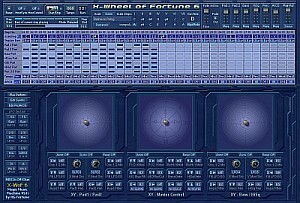 Create your own drum synth or effect unit. Build crazy audio processors. Hi, I'm Jeff McClintock. I created SynthEdit in 1987 and am still improving it today. Producing great music is a creative process; the best natural musicians are open minded and spontaneous. On the other hand, making software has been the domain of patient, analytical types. We can we bring those two worlds closer with graphical programming tools. SynthEdit brings an immediacy and fun element to creating sounds. Unlike traditional programming there's no 'wrong' way to use SynthEdit. Like 'Lego for sound' you can hook up modules in your own weird and wonderful ways. Programming becomes exploring. Despite SynthEdit being fun, it isn't a toy. 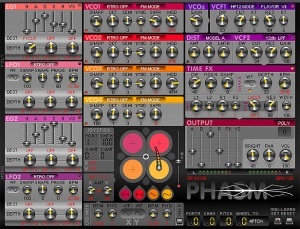 You can build real Synths and Effects with hundreds of interacting components. Several commercial companies use SynthEdit as their primary development environment. SynthEdit is the only save-as designer with C++ plug-in modules. These are extra functions you can download and add on later. Unlike restrictive built-in code features, or tedious low-level building blocks. C++ is the language professionals use to write high-performance audio code. There's over 1000 add-on modules for you to explore and master. Buy SynthEdit. Try the Demo. Check out a few of the expert users pushing SynthEdit with great sounds and their own custom graphics. Click to visit their sites. Thanks for visiting my site, if you want to see for yourself please try the free demo. it never expires. If you're already convinced purchase SynthEdit now.